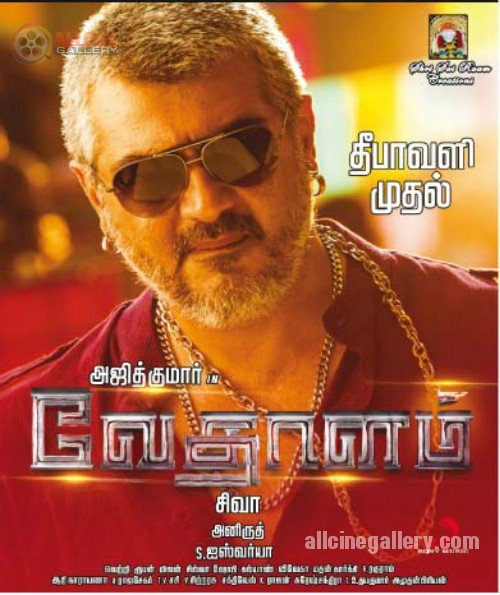 Vedalam releases at record 43 screens in UAE. It's Ajith biggest release in middle east. Yennai Arindhaal made a whopping AED 2,016,772 [$549,215 Rs 3.4 Cr], Vedalam is expected to exceed these numbers and emerge as Thala's highest grossing movie in UAE. Ganesh and his sister Tamizh go to Kolkata to pursue her education. He works as a taxi driver and helps the police catch an underworld don. As a result, he is now being wanted by the villains.